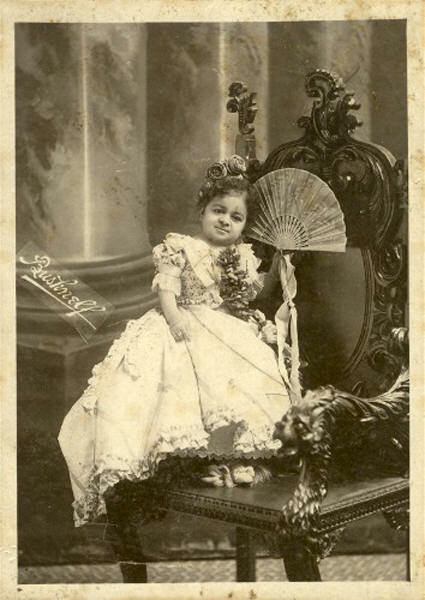 Chiquita also known as Senorita Espiridena Alize Cenda was of Cuban or Mexican descent and was a perfectly formed Midget who by age 21 was 26 inches tall and weighed 18.5 pounds. She was famous as a Carnival Attraction in the Bostock-Ferari Carnival when she appeared at the Pan American Exposition in Buffalo in 1901.Frank C. Bostock is credited with being the inventor of the modern American Carnival and Chiquita was one of his star attractions at the World's Fair and in other carnivals of his. 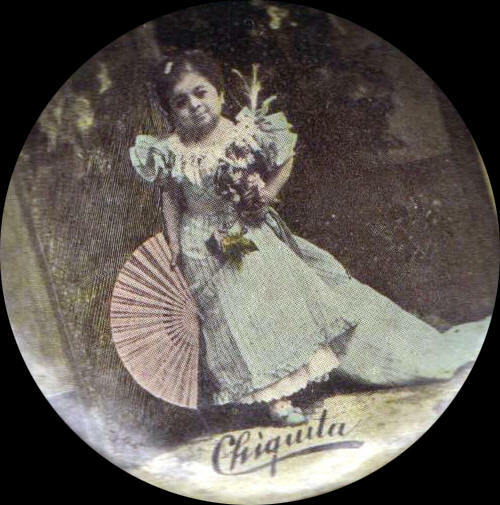 Chiquita wore beautiful specially made gowns and jewelry for her singing and dancing routines at the carnival and Pan American Exposition. She also could speak seven languages and was highly intelligent living in a specially built drawing-room at the fair where customers paid fifteen cents each to ask her questions and marvel at her beautiful gowns etc. During her time at the Pan American Exposition she was presented with a small electric car which she then rode in the fair parades and was a featured attraction at the fair.She was even referred to as the "Pan American Mascot" for the fair. However in November 1901 she secretly married a 17 year old fellow employee of the fair which angered Frank Bostock her manager and led to a falling-out between the two. 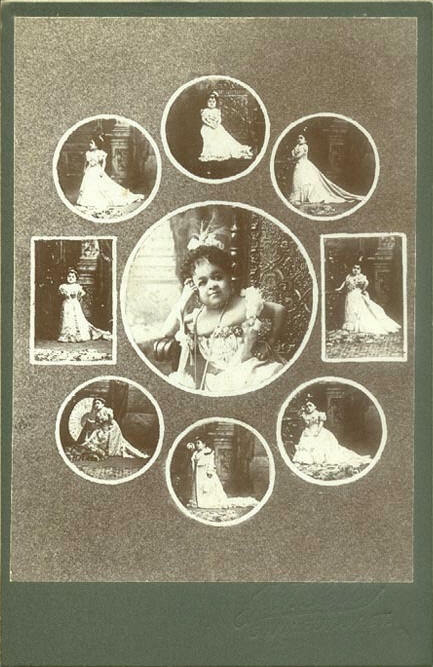 However Chiquita made the decision to remain with the Bostock-Ferari Carnival and she died in 1928.Bostock owned a number of the concessions on the South Midway at the Fair and was an important figure in the early history of American Carnivals. "Little Chiquita Now Mrs. Anthony Woeckener. The Smallest Perfect-formed Woman in the World a Mexican Dwarf by Birth. Marred on Nov 1 1901 aged 21 yrs. 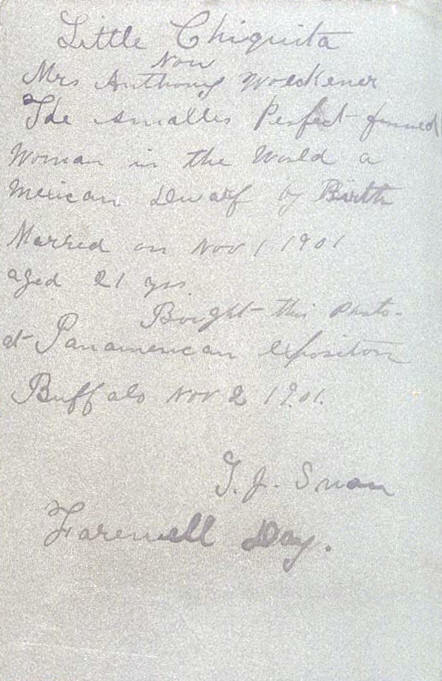 Bought this Photo at Panamerican Expositon Buffalo Nov 2 1901. T.J. Swan Farewell Day."